Betty-Anne graduated from The Master’s College with a master of arts in biblical counselling. Fuelled by her passion to see the Canadian church convinced and equipped to care for souls through the living Word (both Incarnate and inspired), she serves the local church in discipleship roles that include teaching, mentoring, and counselling. 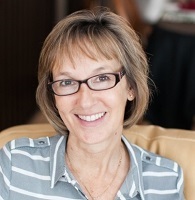 Additionally, she serves as council board member for the Biblical Counseling Coalition.